I probably install more versions of a lot of Autodesk apps than most folk. Afterall the Framework for Civil 3D supports multiple releases of Civil 3D in a couple of Release 7 and Release 8 flavors. All the interop issues matter to many Framework customers too. The nuance and detail matter and show up in the Framework. Note to self. Do a post about the need to uninstall and reinstall the Autodesk Desktop app to get a realistic and somewhat well-ordered set of Updates and fixes to point and pick your way through if you have to reinstall a bunch of older release software. In any case, there’s more to it than the obvious so look on AKN. Speaking of the glass half full and the Super Bowl - Gladys Knight rocked the national anthem. Bud Light did the funnier beer ads. They had stiff competition. I didn’t realize at first the NFL had booked a male stripper for the halftime show? My Boston Terrier, aptly named Brewski, is still barking at anything with a blue light. He is still trying to order doggy treats from Amazon. I guess demographic and sociographic profiles work. I realized this morning I’d forgotten to install an important Autodesk tool. A customer sent me a DWF print of the planimetrics for a couple of miles of roadway to review. The DR is just the cure. If you work through the mechanics of DWF for plan set publication, the process can reduce a lot of production publication problems with Civil 3D. The example projects that ship with the Framework all contain DWF publish examples. I do remember UL in AutoCAD because I use it. Sadly, you won’t find the UL command in the default ACAD.pgp file. There’s no need. These days just to type the letters gets you 99% of the way there in AutoCAD anyway. 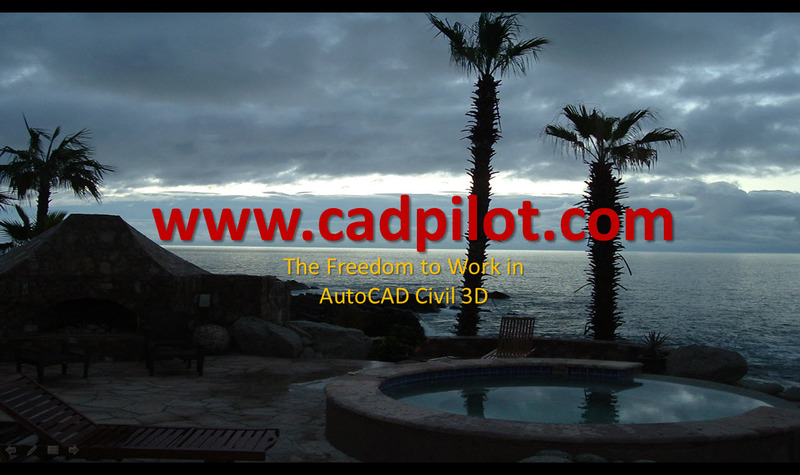 The AutoCAD command you are after is ULAYERS for Underlay Layers. I shorten this to UL to remind us all it’s all about the testing of standards for our deliverables like Underwriters Laboratory. See the last post link below. ULAYERS works for D-word things like DWF, DGN, and PDF. This means our classic basemap solutions to the publishing problems are pretty compute and drive intensive. What about the user training and maintenance issues? What do we get for that exactly? When we publish in Civil 3D this simple list says it is way too easy to get lost and confused by making things too complicated. You must simplify. We can plan and build a standard workflow resources of DWF QAQC and publication into our Civil 3D Project Templates to further maximize our state-of-the-art Civil 3D production workflows. The Civil 3D Project Template Secret Sauce post is a place to start with lots of links to all the issues. The DWF examples in the video were published out of model space from a drawing with the coordinate system assigned. This makes the DWF itself coordinate system aware. This means you don’t have location and scaling issues when the DWFs are used in your project drawings. Autodesk delivered a new DWF6 printer with the 2018 release. There are some subtle and powerful enhancements in the new DWF including better 2D and 3D model prints. We now have better control of the final DWFed results in more ways. I won’t elaborate here. You should check out the Civil 3D Export Cheat Sheet posts. They are all linked in the A Civil 3D Export Cheat Sheet Reprise post. If you Register and login, more Documentation and Help is available for free. Be careful. The defaults for DWF6 will print much larger files if you include the geometry for the fonts you employ. My customer is testing his addition of some extra-large custom screen sizes to his DWF6 pgp file. This will allow him to employ fewer DWF backgrounds in his plan and profile deliverables. Smart guy. You can be smarter too.